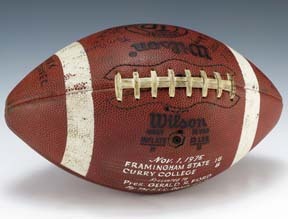 A Wilson football signed by the 1975 Framingham College Rams team after they defeated Curry College. 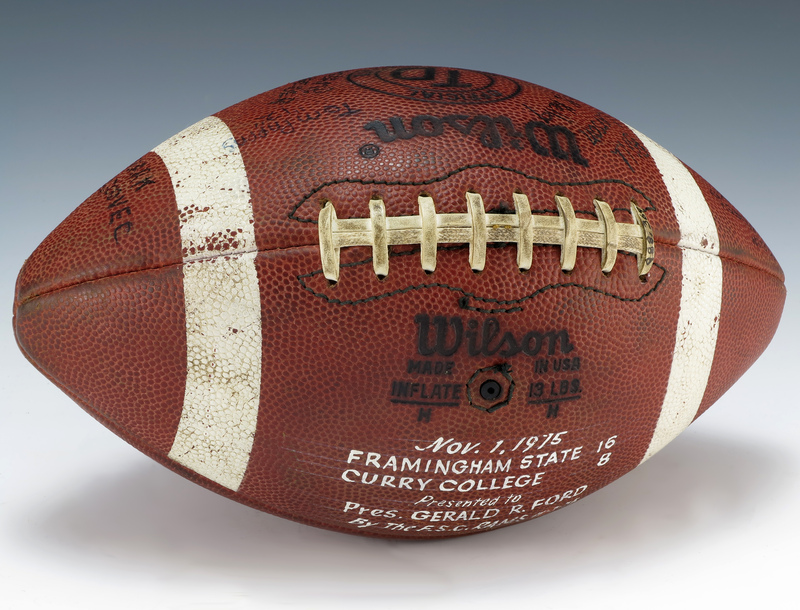 Also written on the football in white print is the date, "Nov. 1, 1975" as well as the results of the game, "Framingham State 16 - Curry College 8." Below this the print reads, "Presented to Pres. Gerald R. Ford by the F.S.C. Rams 11-7-75"